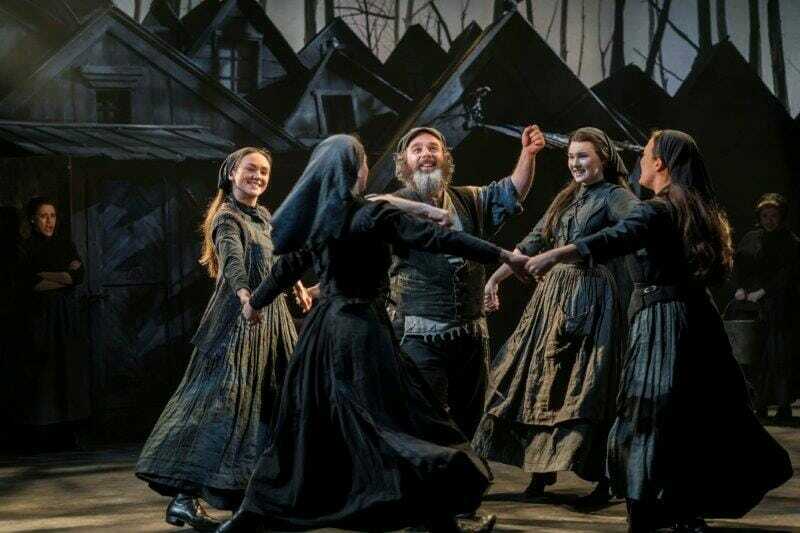 Following an outstanding response to its run at The Menier Chocolate Factory, it comes as no surprise that Trevor Nunn’s production of Fiddler on the Roof should receive a West End transfer, and now finds itself at The Playhouse Theatre, where we can only hope that it will extend its run. The musical from Joseph Stein, Jerry Brock and Sheldon Harnick, has already earned its place in history, at one point the longest running show on Broadway it has created stars, and remains one of the most produced musicals across the globe. 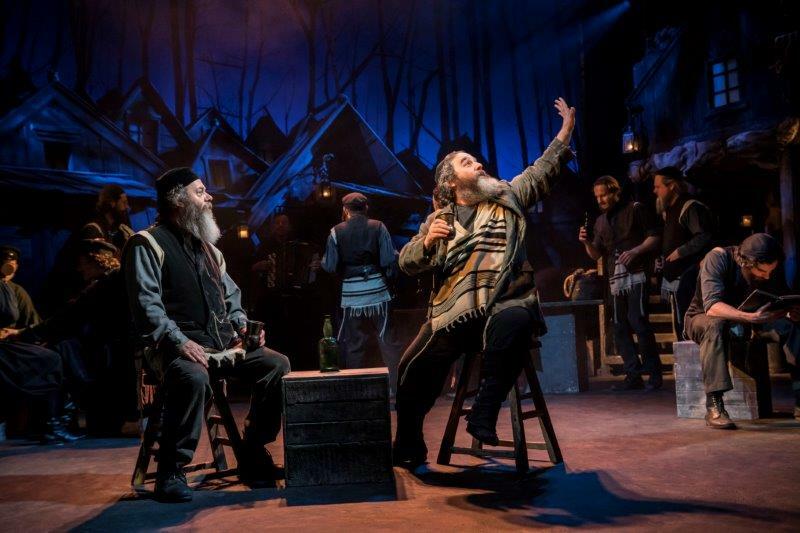 Fiddler takes us back to 1905, and Anatevka, a small shtetl of the Pale of Settlement – the only areas where Jewish people were permitted to live in Imperial Russia. At the mercy of the Tsar and his agents, these communities lived in poverty, and in constant fear of eviction. 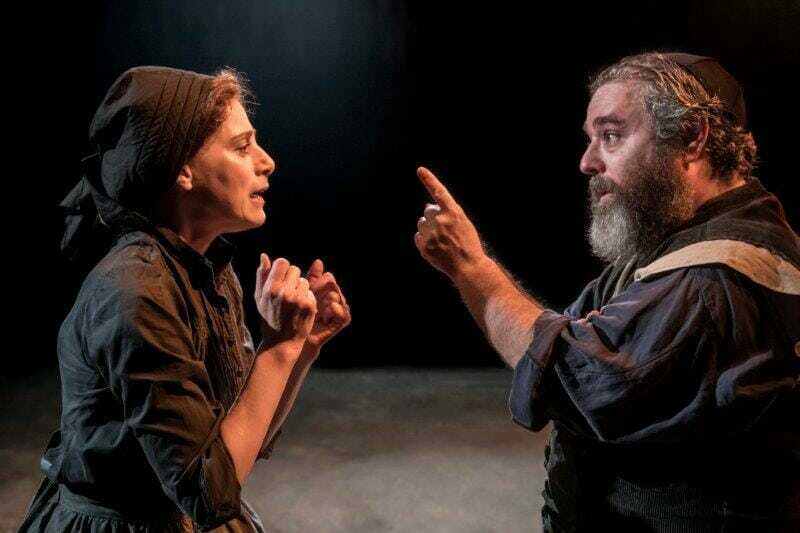 The story centres on Tevye and his wife, Golde, who have been blessed with five daughters. All of them will need to be married off, but as they are poor and have no dowry, they are reliant on Yente, the matchmaker to find suitable husbands. But Tevye’s faith is tested as modernity takes over and his eldest three daughters insist on marrying for love. 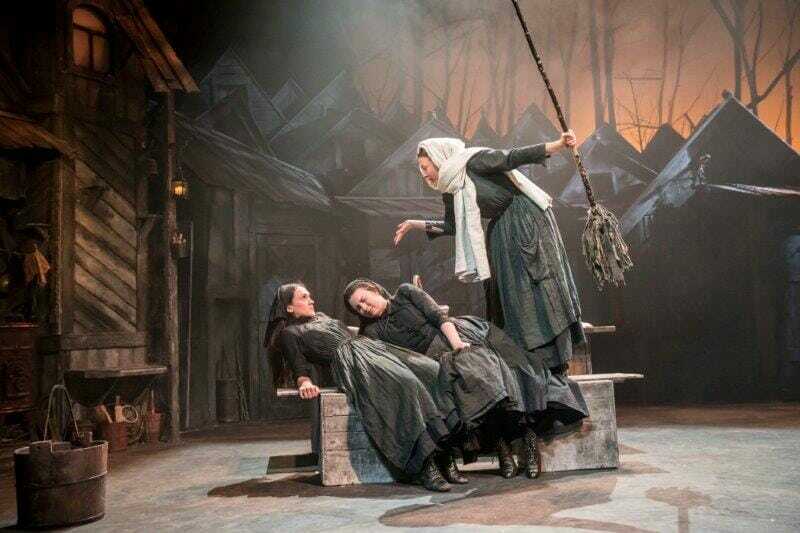 Fiddler on the Roof is often criticised for not portraying accurately the true misery that came with being confined to the shtetl, yet what it does marvellously capture is the importance of faith, family and community to these persecuted people. All of this is wonderfully captured in Nunn’s production, a large cast bringing this community to the fore and inviting the audience in. Robert Jones’ set design sees the Playhouse reconfigured, the stage brought forward and extending out into the auditorium, while the occupants of a couple of the boxes find themselves in the heart of the production. The timber homes are packed in tightly in the form of a backdrop, giving the impression they go on as far as they eye can see. Despite the expanded stage, the set design makes the whole production feel as intimate as it would have done at the Menier, placing the audience in prime position for this captivating musical triumph. 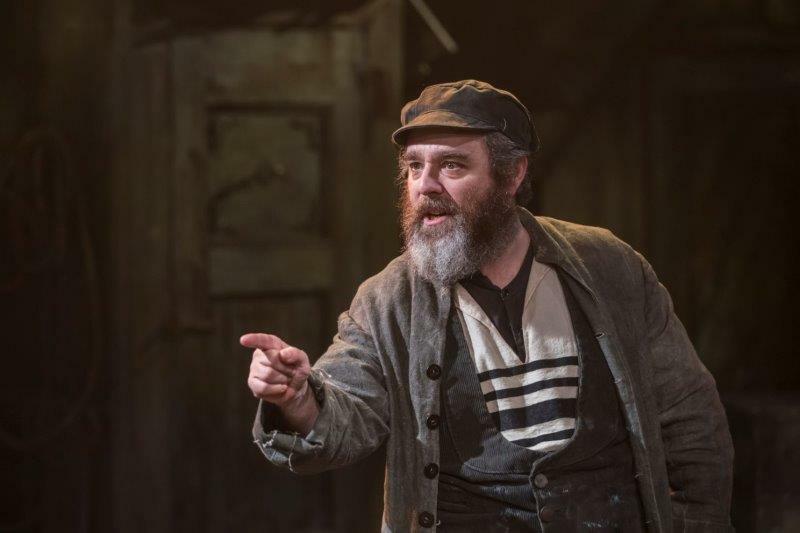 Andy Nyman gives an exceptional performance as Tevye, misquoting the holy book and looking skyward to address, and often chastise, his god, we see a man trying to provide for his family, while grappling with his faith. Perhaps the highlight of the evening is Nyman’s ‘If I Were a Rich Man’, where the familiar “daidle deedle daidle” become the aches and pains of a man exhausted from pulling his milk cart. Alongside Judy Kuhn as Golde, they make a formidable pairing, and their duet of ‘Do You Love Me?’ is worth the ticket price alone. It’s an incredibly strong cast, as the three elder sisters, Molly Osbourne, Harriet Bunton and Nicola Brown each put their own stamp on their respective characters. Joshua Gannon’s Motel is beautifully endearing, while Stewart Clarke is dazzling as a passionate Perchik. At times the production is bursting with energy, in the main thanks to Jerome Robbins and Matt Cole’s unbelievably slick choreography, which takes the traditional forms of dancing and injects them with the passion of the new and emerging era. The Wedding and bottle dance provide an excellent opportunity for this to be showcased to the fullest. But it’s also very moving, we know as the family drifts apart what fate lies ahead, and the beautiful ballads which punctuate the more up-tempo numbers serve as a reminder of the reality. 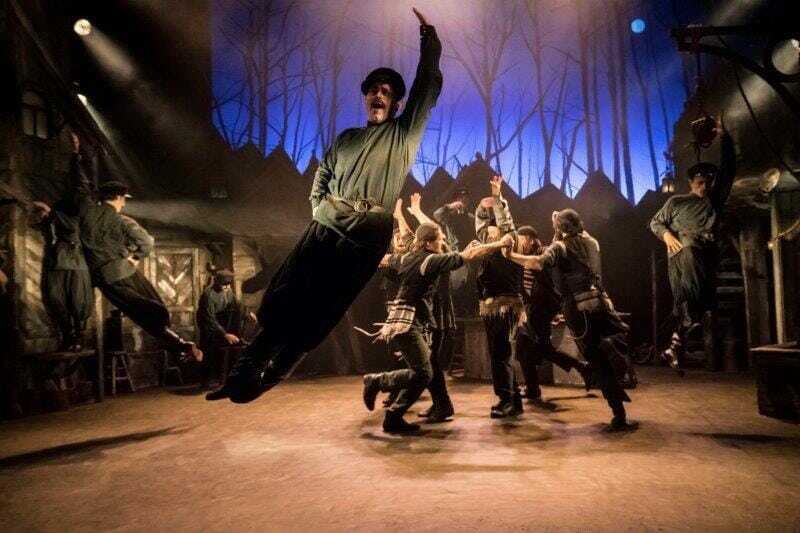 Trevor Nunn’s stunning production of Fiddler on The Roof takes the traditional musical and truly brings it to life for its audience, enveloping them in its charms. It is rich with feeling and blessed with an outstanding team of cast and creatives.